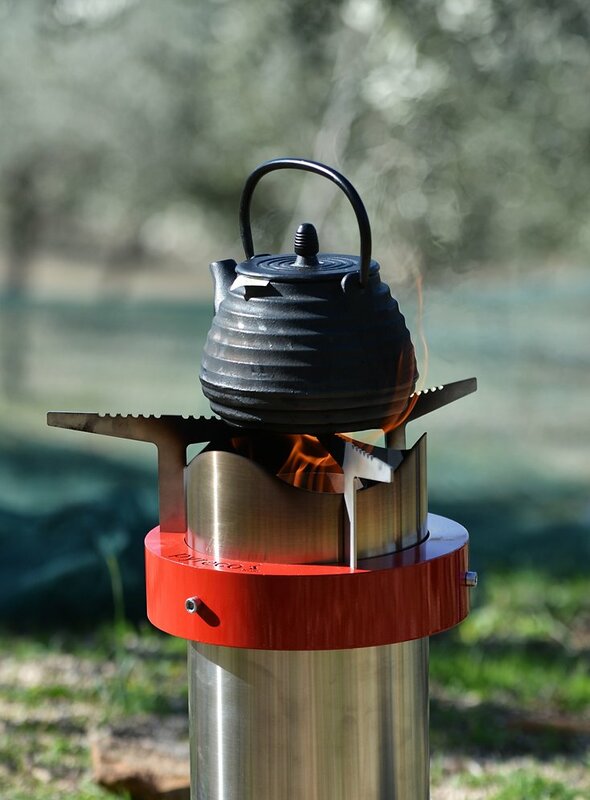 Pellet-fired PYROLYTIC camping stove, easy to transport thanks to its strong carry bag, small size and minimum weight. Great stability with three-cornered base which contains the controlled ventilation fan with durable rechargeable battery (included). Rust-proof because it’s 100% stainless steel. 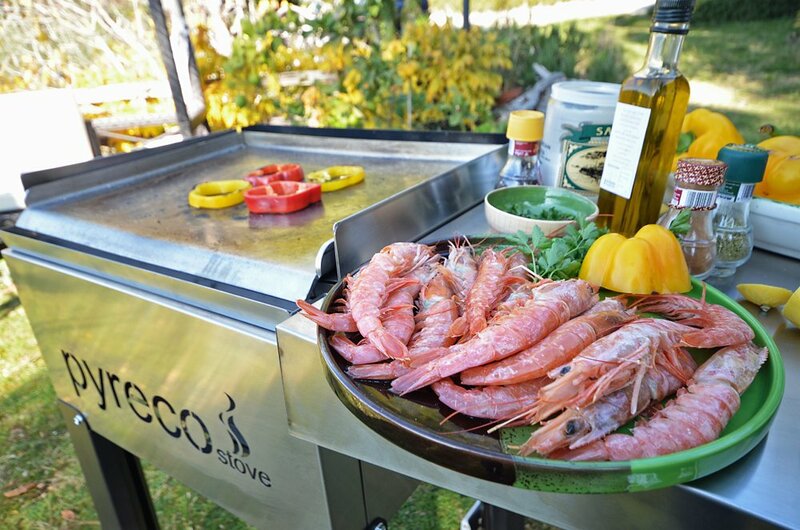 Three practical supports for kettles, frying pans, cast-iron or aluminium grill pans to cook any type of food. The PYRO CAMP pyrolytic system with its captivating and functional design is the result of the company’s great capacity to develop new, technologically advanced ideas. 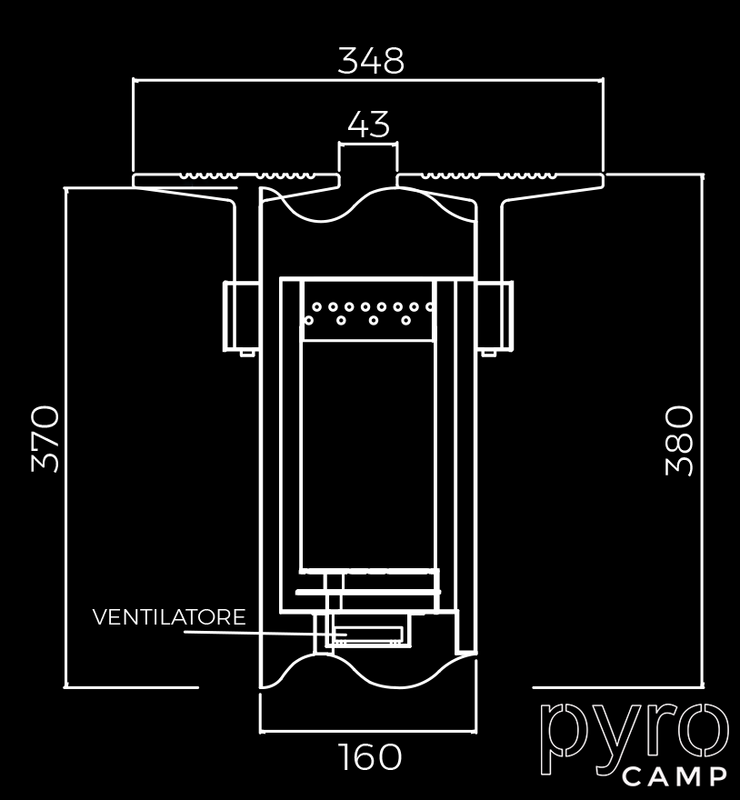 The pyrolysis process is honed for safe, long, smoke- and odour-free use. It’s never been so easy to cook or boil water in the outdoors. As it weighs very little, it’s easy to transport anywhere in its carry bag. 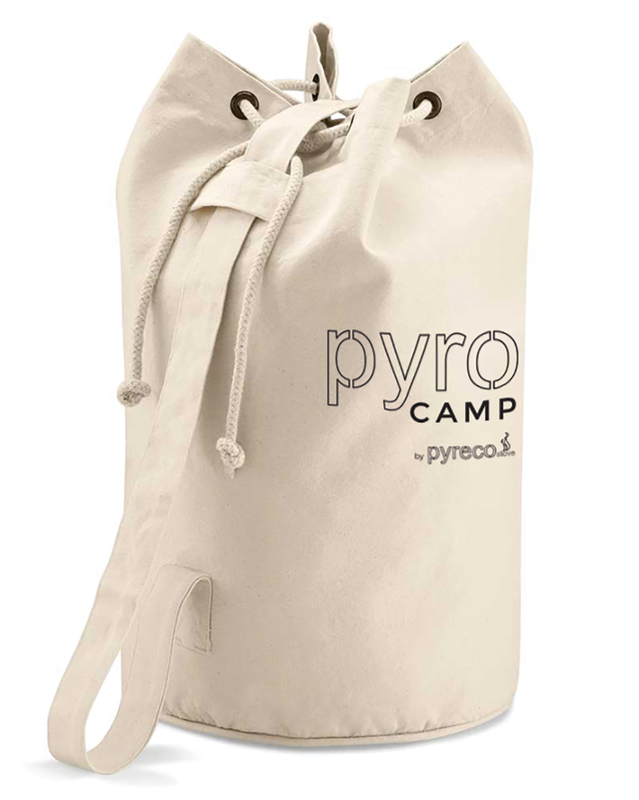 Ideal for taking to the beach or mountains, for picnics, balconies, etc. 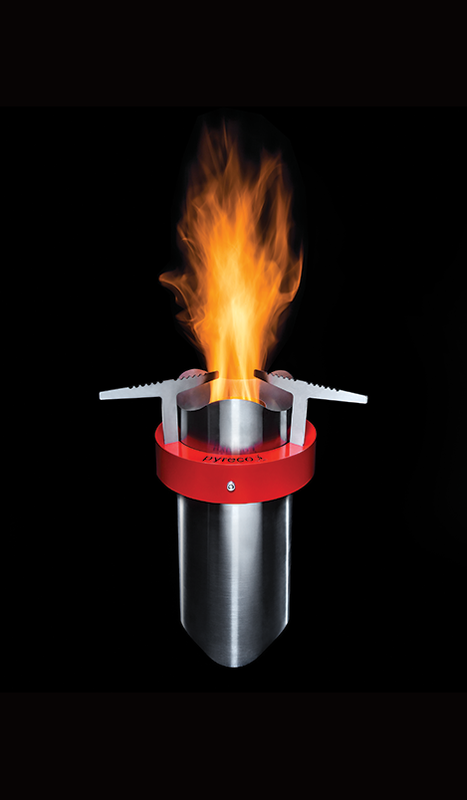 Requires few pellets, long burning times, lightweight. 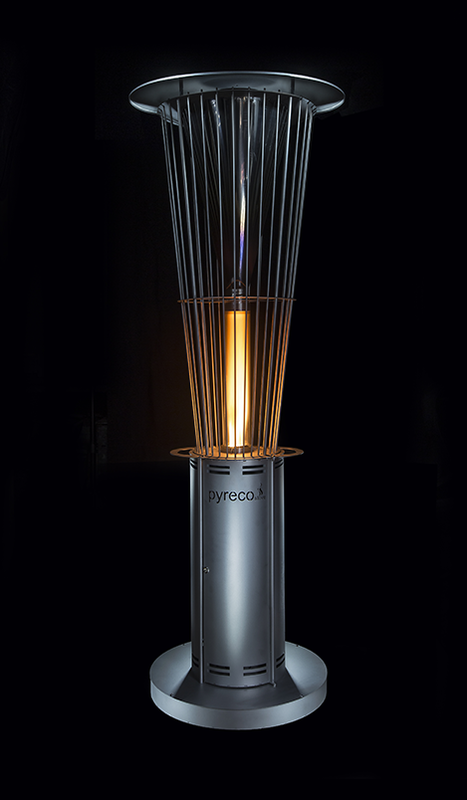 When it’s lit, the magical flame draws you to it, it makes you want to lie alongside it while the water boils for a good cup of tea or infusion, or wills you to cook something tasty on a grill/in a frying pan. Simple as that, no extra parts needed. 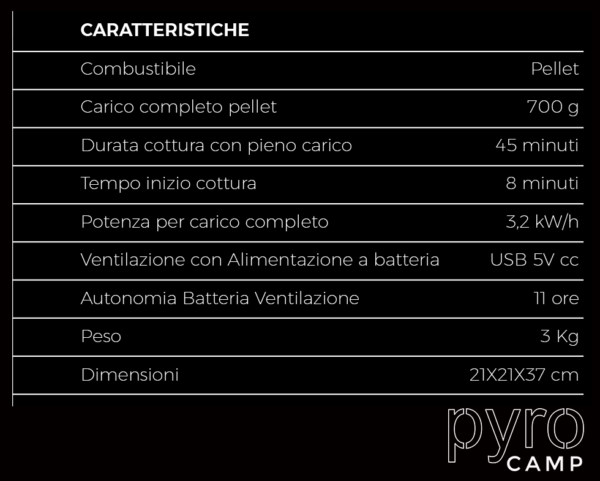 With 700g of pellets, after just 8 minutes you can cook on a powerful flame for as long as 45 minutes. 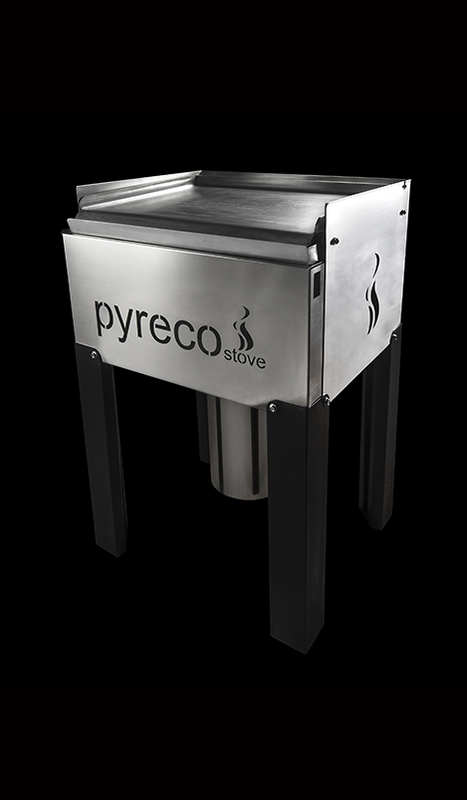 It’s totally smoke-/odour-free with negligible emissions of unburnt fuel, with full respect for health and quality of the environment. When all the pellets have been burnt, just a few grams of ash remain. 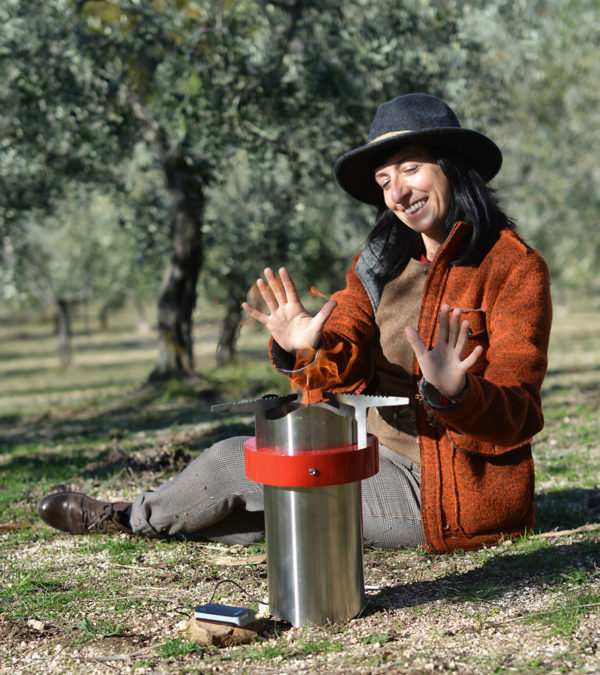 If turned off earlier, the remaining unburnt fuel – BIOCHAR* – which retains carbon dioxide (avoiding dangerous increasing levels in the atmosphere) can be used as a soil fertilizer. It has excellent resistance to rust and is easy to clean. 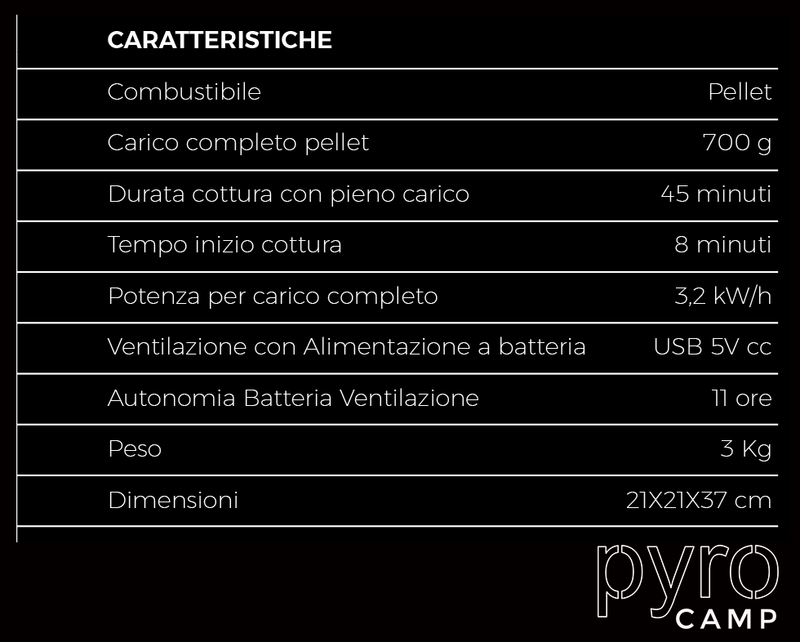 *BIOCHAR: The byproduct of pyrolysis (90% carbon) is a powerful soil improver, which is also perfect for organic crops. Its great porosity increases the retention of water and nutritional elements which remain available to plants for longer; it also improves the structure of the soil and its mechanical properties, thus reducing the need for water and fertilizers.